Everyday human beings interact with one another. Each person has their own set of expressions and characteristics that define who they are. As an artist, I feel the need to try and understand the personality of the human being I’m portraying in a work. The human face and figure is something I’m familiar with, but being able to discover how to capture a personality through a still image and clearly communicate with my audience is what fuels my passion for art. My choice of subject comes from my interest in ideas about beauty, and emotional connections. I enjoy finding images that capture candid moments. I photograph and paint people in their natural environment because I want to preserve a moment in time. I am inspired by the moments we lose to memorize. I hope to bottle up happy moments in my art to save for later. Perhaps unsurprisingly, these portraits reference memories of home and family. These collection of work comes from my desire to preserve those beautiful moments in life either through a painting or a photograph. 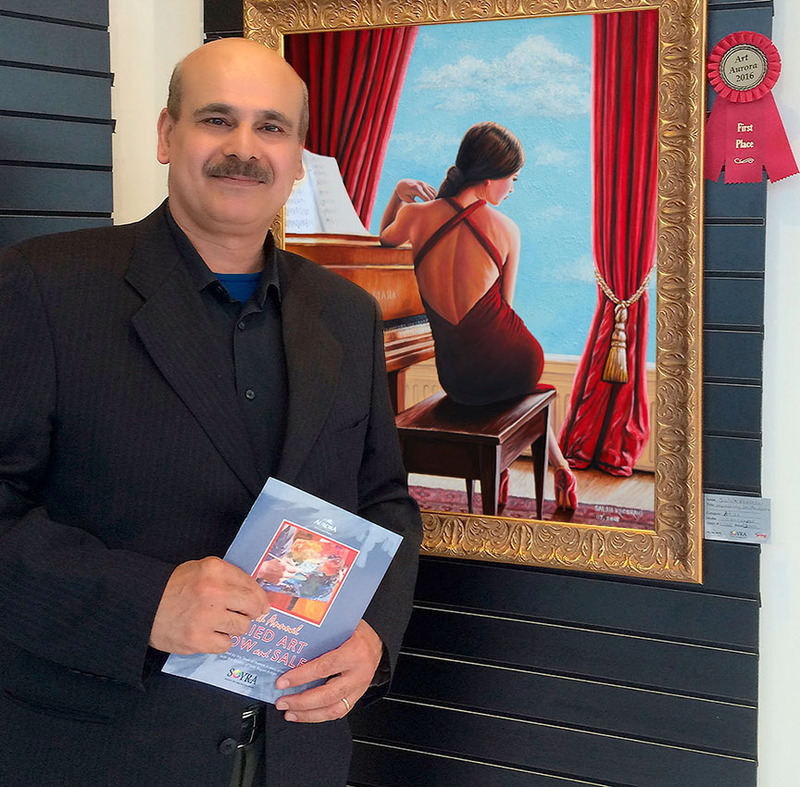 I immigrated to Canada on July of 1990 from the Kurdistan region, and have worked as a freelance professional photographer and graphic artist for some of well-known photographers and printing companies in the Greater Toronto Area. Although still my main professions are photography and design, I have recently, in last few years concentrated more and more on my passion of drawing and painting portraits. I would never say that I am not blessed with a natural ability, but I use the term self-taught with slight apprehension. Although I am proud of the progress I’ve made and continue to make as an artist without the benefit of formal training, I certainly haven’t done it alone. I have spent my entire life developing my skills, but I have done it in a world defined by the work, pain, failures and successes of all those who’ve come before me. I cannot take full credit for my own journey into the unknown without acknowledging the indirect, but profound teachings of those who built the ship. Nor could I deny the influences and inspirations of so many of my contemporaries, those whom I know and those that I don’t, some that I dislike and some that I love, but all of whom have taught me something. So each day that I push myself one step further, I do it with an appreciation of my own gifts, and with gratitude for those who continually teach the self-taught, in hope of becomeing a full time artist in a not very distant future.